First Quantum Minerals Ltd. [FM-TSX] said Tuesday it is examining a ruling by Panama’s Supreme Court and its potential impact on a large copper mine that the company is working to develop in the Latin American country. The announcement comes about nine months after First Quantum said it will spend $635 million to boost its stake in the Cobre Panama mining project to 90%. First Quantum said the $5.5 billion project was on schedule for a gradual start-up beginning in 2020. Cobre Panama is a large open-pit copper development project located in the Panama jungle, about 120 kilometres west of Panama City. The concession consists of four zones, covering 13,600 acres. Proven and probable reserves stand at 3.1 billion tonnes, averaging 0.38% copper, 0.07 g/t gold, 1.3 g/t silver and 0.006% molybdenum. That material is estimated to be sufficient to support a mining operation for 40 years. The reserves contain 11.8 million tonnes of copper and 7.3 million ounces of gold. First Quantum also holds a 100% interest in the Taca Taca project in Argentina. Taca Taca is a copper-gold-molybdenum porphyry deposit which is currently in the advanced exploration stage. 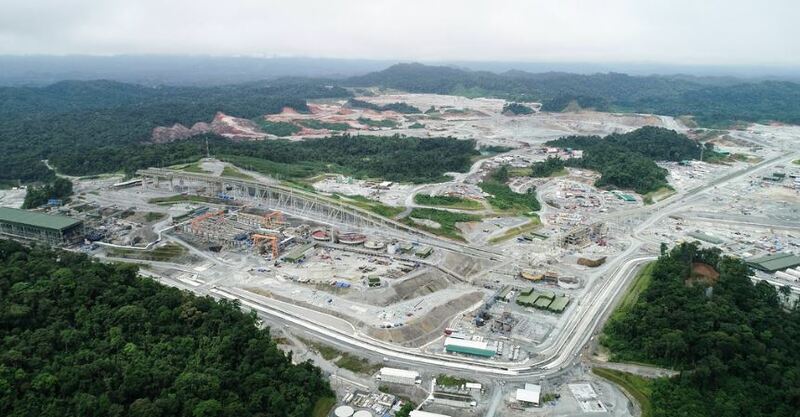 According to a Bloomberg report, local media in Panama reported that Panama’s Supreme Court ruled this week that Law 9, which was used to approve a mining concession contract between the state and Minera Petaquilla in February 1997, was unconstitutional. A report by La Prensa, that was picked up by Bloomberg, said the court indicated in its decision that Panama’s National Assembly accepted a contract that didn’t follow the correct legal process and therefore contravened the constitution. The concession rights for the Cobre Panama project were obtained in 1997 under Law 9 by Minera Petaquilla, now known as Minera Panama SA, according to First Quantum filings. Minera Panama is a majority owned subsidiary of First Quantum. In a press release, First Quantum said Minera Panama understands that the Supreme Court ruling only affects the enactment of Law 9, and does not affect the mining concession contract itself, which remains in effect, and therefore allows continuity of development of the Cobre Panama project. First Quantum said the Cobre Panama project employs over 12,600 people, of which approximately 1,500 are from the nearby villages and towns. The project is the single largest private investment in Panama’s history. First Quantum shares fell 2.51% or $0.40 to $15.56 Tuesday to trade in a 52-week range of $13.54 and $23.05.